Yama Theatre Productions presents Dead Happy at your house! Simon Lovat’s 2013 hit one-man show returns to Brighton! 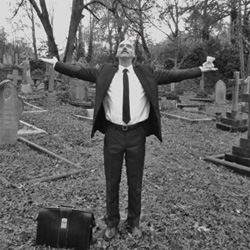 “Experience the world of funeral directing in all its bizarre humour and pathos when Francis Putlock visits your home for an unforgettable consultation”. Simon tells Paul levy how to show was born and how he brings it to your own doorstep. 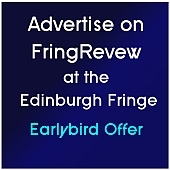 This entry was posted on Monday, May 18th, 2015 at 12:46 pm and is filed under Audio Interviews, Brighton Fringe 2015. You can follow any responses to this entry through the RSS 2.0 feed. Both comments and pings are currently closed.